To begin with we take a quick look at the critical figures and data in the energy markets this week, as oil prices sink on waning hopes of an OPEC meeting. The main market movers will then be examined before an analysis of the top news events taking place in the global energy complex over the past few days is provided. • Crude oil sitting in storage is about one-third higher than the five-year average, according to the EIA. • Commercial stocks hit 503 million barrels at the end of January, an 80-year high, and about 10 million barrels above the peak in 2015. That is also 132 million barrels above the five-year average for this time of year. • Oil inventories have jumped sharply since the beginning of 2016, a worrying sign about the state of the economy, but also further evidence that U.S. oil production remains resilient. • Chesapeake Energy (NYSE: CHK) saw its share price crash on February 8 after news reports suggested the company was looking to restructure more than $9 billion in debt, raising fears of Chapter 11 bankruptcy. The company said it has no plans to file for bankruptcy, but its share price fell by more than 50 percent in early trading on Monday, before regaining some ground. • Total (NYSE: TOT) started a North Sea gas project this week, one of the last major North Sea oil and gas projects greenlighted before oil prices crashed. 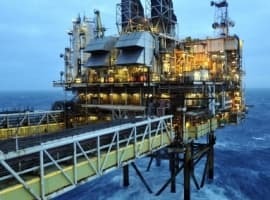 Total started production at a field near the Shetland Islands, which it says will produce 90,000 barrels of oil equivalent per day, or 6 percent of the UK’s total production. 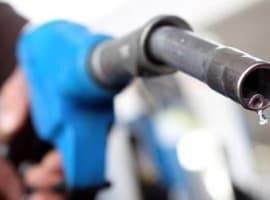 Oil prices slumped on Monday as news emerged from Riyadh that the meeting between Venezuela’s oil minister Eulogio del Pino did not succeed in bringing Saudi Arabia on board for an emergency OPEC meeting. Venezuela has been pleading with OPEC members to come together for a production cut, and has at least succeeded in generating some buzz. But thus far, the diplomacy of the country’s oil minister has not resulted in getting a meeting on the calendar. 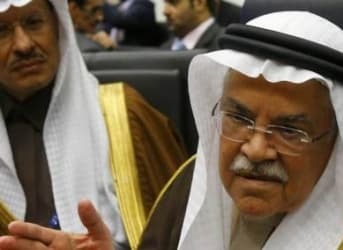 Saudi oil minister Ali al-Naimi said the meeting was “successful,” but in reality, the only thing the markets care about is whether or not OPEC will meet to cut production. In that sense, the meeting as not successful. “Nothing really happened at the meeting,” one OPEC official told the WSJ. WTI briefly below dipped below $30 per barrel on Monday following the news, before closing a few cents above $30. More spending cuts needed. Even if crude oil averages $40 per barrel this year, the oil and gas industry in North America will need to slash more spending in order to correct their balance sheets. According to IHS Inc., who surveyed a group of 44 prominent oil and gas firms in the U.S. and Canada, spending is still too high. IHS says that the 44 companies will need to cut another 30 percent from their planned expenditures, or an additional $24 billion, in order for them to get spending down to 130 percent of cash flow. Libya unrest. Political strife in Libya continues. Despite the small bits of progress achieved between the two rival governments in the war-torn country, they are still clashing over the right to export oil. The Tripoli-based National Oil Company recently condemned the agreements that foreign companies reached with the port of Hariga, located in the territory of the Eastern government. Iran. Oil trader Vitol Group says that it is “very much business as normal” with Iran following the removal of sanctions. The company confirmed it has purchased oil from Iran. Oil prices lower for longer. More news from Vitol Group…in one of the most bearish calls yet, the oil trader says that crude prices could stay low for another decade due to a slowing Chinese economy and the ability of U.S. shale producers to ramp up production whenever prices do rise. “It’s hard to see a dramatic price increase,” Vitol’s CEO Ian Taylor told Bloomberg. He thinks that oil will trade within a range with $50 oil as the midpoint. “We really do imagine a band. I can see that band lasting for five to ten years. I think it’s fundamentally different.” He estimates a price band of roughly $40 to $60 per barrel. “You have to believe that there is a possibility that you will not necessarily go back above $100, you know, ever,” he warned. Shale production down. 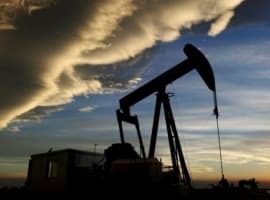 The EIA released its latest Drilling Productivity Report, which predicts a loss of another 92,000 barrels per day in oil production from shale in March. The Eagle Ford will lead the losses, with a decline of an expected 50,000 barrels per day of output. Natural gas production is also declining – the EIA expects the U.S. to lose 451 million cubic feet of gas production per day in March. It should be noted, however, that the EIA has published some confusing figures in recent months. Forward-looking predictions have consistently predicted output declines, but estimates of production retrospectively show output has been relatively flat. So take these estimates with a grain of salt. Reuters reported that a bankruptcy from the nation’s second largest natural gas producer would ripple across the midstream sector. Pipeline operators Kinder Morgan (NYSE: KMI) and Williams Companies Inc. (NYSE: WMB) could be vulnerable to a Chesapeake bankruptcy because they have contracts with the gas producer for pipeline capacity. Even though some of their contracts include minimum volume provisions, which would require a company like Chesapeake to pay the pipeline operators for space regardless if they actually wanted to ship gas, the pipeline companies still might be forced to take a hit given Chesapeake’s dire circumstances. Whether through bankruptcy or renegotiation, minimum volume contracts might not be quite as safe as the pipeline companies had thought. Williams, for example, might lose $300 to $400 million because of Chesapeake’s woes. Obama’s oil tax. President Obama proposed a $10-per-barrel oil tax in his latest budget proposal, a plan that would raise $30 billion per year for investments in clean energy, mass transit, and high-speed rail. The idea has very little chance of passing in the Republican-controlled Congress. Even the administration admits as much, saying that the proposal is intended to at least get the conversation started. Global recession not assured. Despite growing concerns about the health of the global economy, Goldman Sachs said that the probability of a recession in the industrialized world is only about 25 percent over the next year and 34 percent in the next two years. The investment bank said that the U.S. only faces an 18 percent chance of a recession within the next four quarters. Sub-$20 oil? But the bad news is that Goldman also says that oil could still fall below $20 given the extreme volatility and persistent oversupply, although such a scenario is not guaranteed. Are We Nearing A Transition Point In Oil Production?